True Beauty offers traditional and aesthetic beauty treatments for men and women under one roof in a clean hygienic warm professional environment at true reasonable prices. Our philosophy is simple, to give every client results and making sure that every client gets the most out of every treatment. 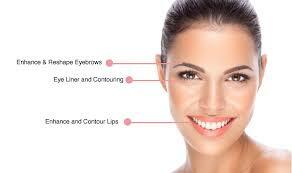 We believe cosmetic treatments being a form of relaxation and enjoyment for body and soul alike. Let yourself relax with our extraordinary effective bespoke programmes. Calm your soul and take a moment to forget about everything but yourself.